The Lifestyle Roller Screen is specifically designed for covering pergola / verandah openings and all styles of windows including corner windows, bay windows, sliding doors and alcove type entrances. 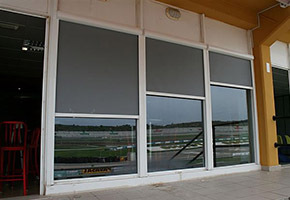 The Lifestyle Roller Screen can span up to 4.5 meters in width and 3 meters in height as a single unit. Unlimited spans can be achieved by using support type mullions. Why Choose The Lifestyle Roller Screen? Lifestyle external Roller Screens will significantly reduce your energy consumption and extend the lifetime of carpets, furniture and flooring. 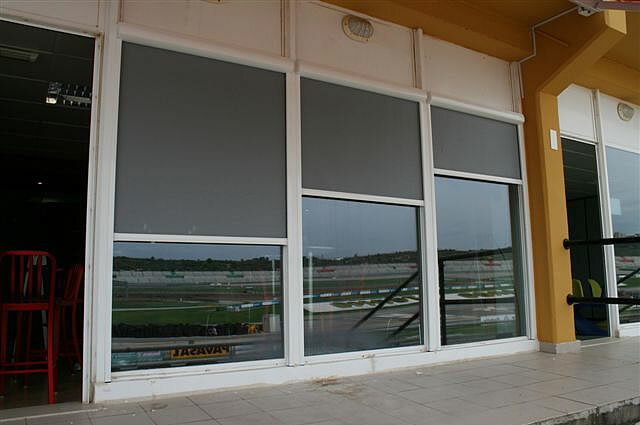 Lifestyle Roller Screens incorporate a PVC coated high tensile polyester mesh designed for all outdoor applications. With high UV and water resistance characteristics, makes this the ideal fabric for all weather conditions. 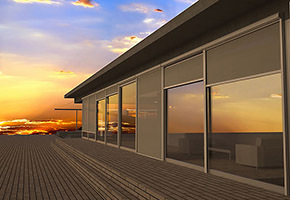 Engineered as a high-tech woven product, the fabric breathes allowing continuous airflow and ventilation in and out of your home whilst keeping insects and debris out. The fabric is scratch and water resistant, it leaves no watermarks after rain, and due to its PVC base, dust and dirt can easily be washed away. Your Roller Screens can be functional all year round. Not only during the warmer months, but also the cooler months. 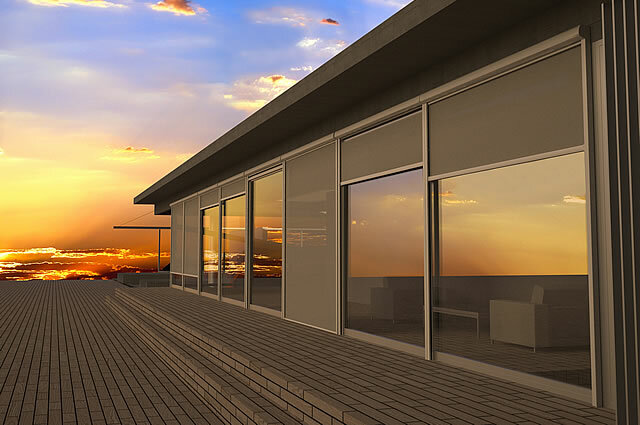 By fully retracting the screen, it allows the radiant suns natural winter warmth into your home. It not only creates a great warm ambience but also reduces your heating and energy costs, The Roller Screens retract in the neat extruded aluminium cassette head box. The unique interlocking zip track locks the screen tight and with a wind resistance class rating of 3, (UNE-EN 13659:004), no breakage after a 154kg load, Lifestyle roller screens can be used even in those high velocity wind areas.